Halong Bay is considered as one of the most maleficent landscapes in Vietnam and a unique experience for one is the best way to discover. Usually tourists consider about some questions to decide the tour they should go, here is three questions we bring to you to answer satisfactorily for your trip to Halong Bay. The first and most important question that tourists have to answer before every trip is where they will go. Solo travellers usually tend to search carefully about their destination. 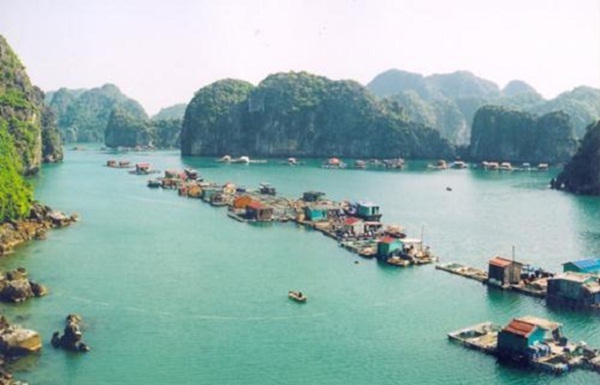 Halong Bay area surrounding hundreds of beautiful landscapes which we should choose to visit here. 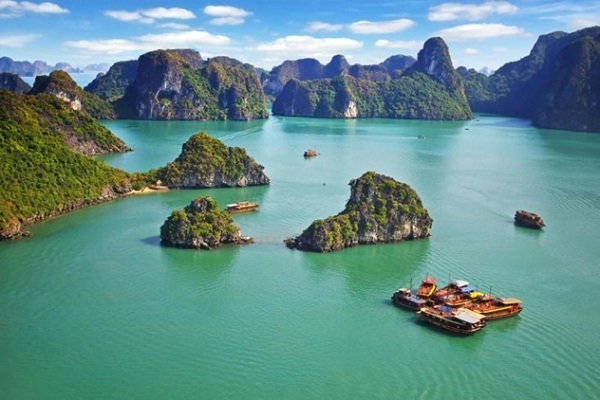 UNESCO World Heritage Site chose three most stunning areas, Central Halong Bay – the most well-known one, western Bai Tu Long Bay – the uncharted one and Lan Ha Bay near Cat Ba Islands – the wild one, specifically. All three landscapes have some small similarities of natural lime stones and karts but each one excites different experience for backpackers, especially solo travellers. While Halong Bay has been a tourist attraction, Ba Tu Long Bay and Lan Ha Bay has still remained uncharted destinations. Therefore, tourists should choose some of hundreds primitive bays to explore, the choice depends on your time and budget, and then answer the next question is how to get the best way to Halong Bay. 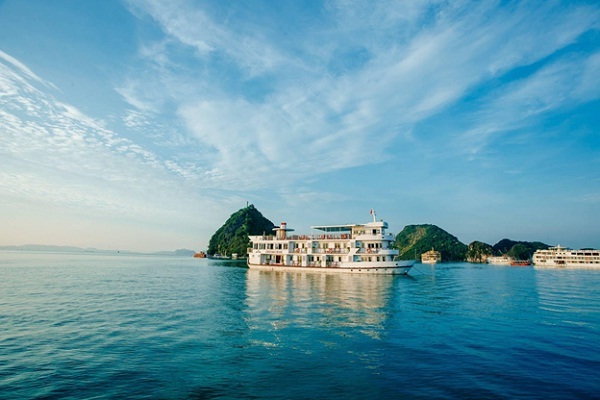 The cruise to visit Halong Bay could be famous as the best way to explore Halong Bay by the seawater. There are different types of cruise for solo travellers to pick but each cruise will have unique experiences depending on their preferences such as relaxing, romantic time or active moments, etc. Normally, a solo backpacker would like to take a low-budget cruise while families, couples and those who seek for peace and relaxing time will choose to stay in more expensive and private cruises. 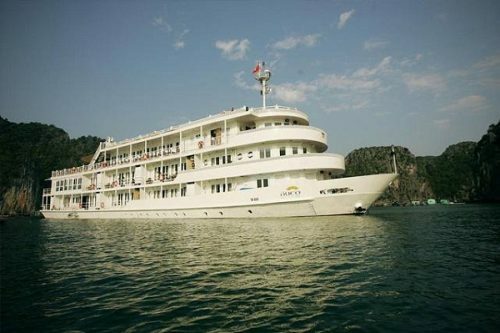 It is seen that a cruise experience could be more enchanting and interesting than visiting by road or car to Halong Bay. Tourists can also have a chance to be served with some traditional Vietnamese cuisine and the tastiest one is seafood such as crabs and shrimps during the cruise. After knowing how to get the best way to visit Halong Bay, travelers should know what activities they have during the cruise to discover. One of many wishes tourists could anticipate when travelling alone is getting to know new friends and a Halong Bay cruise is not an exception. During the cruise, travellers would join in a group tour and meet others from different cities and cultures. They could eat and share experiences together. More than that, there are some outdoor and indoor activities to explore Halong Bay with many people on the cruise. Therefore, a Halong Bay cruise is one of the best ways to visit Halong Bay and discover the beauty of nature Mother in Vietnam. Maybe, after this cruise, you will not be a solo traveller anymore.